The youtube clips started as a fun project for 10-year-old Robby Novak and his brother-in-law Brad Mantague. Robby has osteogenesis imperfecta otherwise known as brittle bone syndrome. He has endured 70 broken bones in his short life. Brad was impressed by Robby’s resilience and joy and decided to help him spread a message of hope to others who are suffering. I hope this helps you start your week off right. 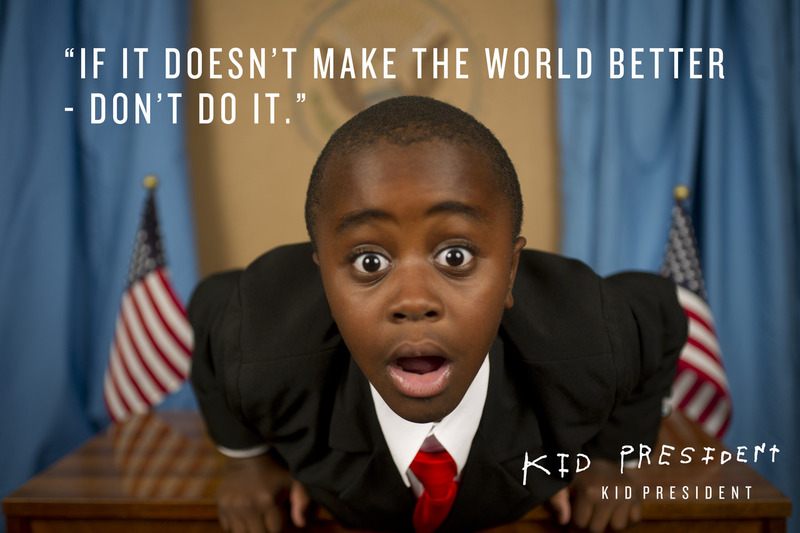 As Kid President says, Go out there this week and make something AWESOME.